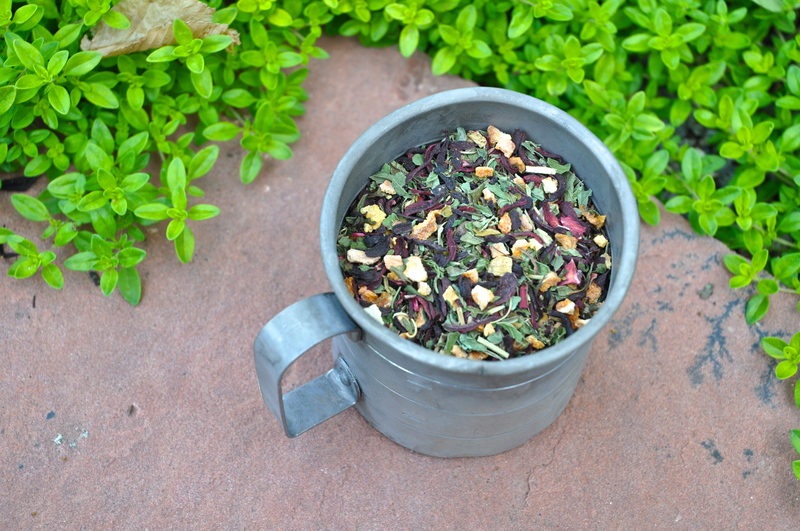 I took the time to craft some herbal tea recently. 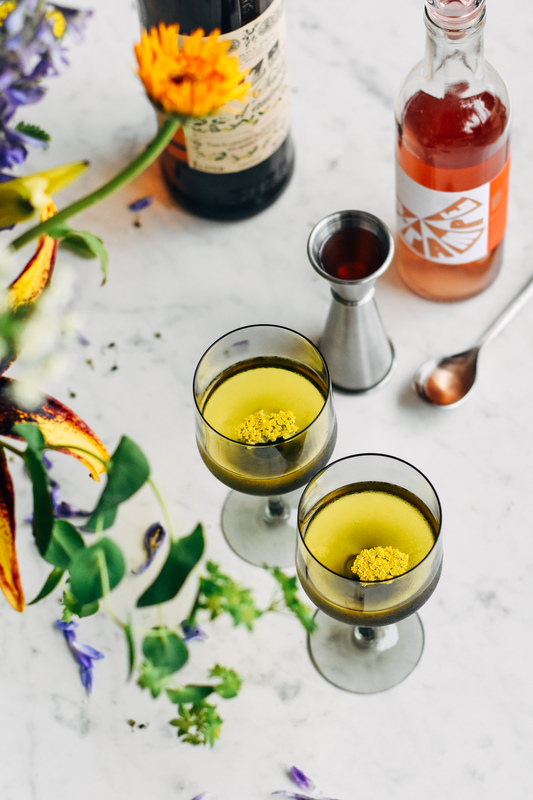 With some dried herbs of my own and some that I purchased from Apothecary Tinctura, a local herbal shop in town, I mixed a hodgepodge blend that seemed cheery, calming, and delicious, all at once. 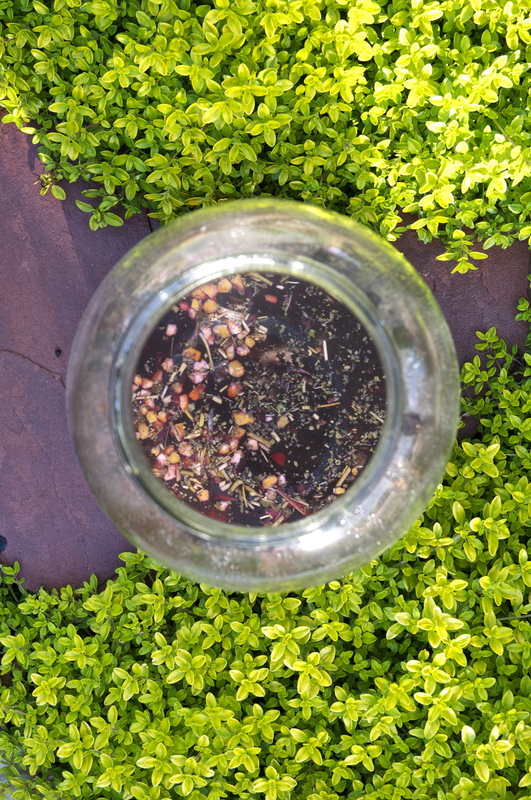 I selected a handful of licorice, a small handful of orange peel, a handful of hibiscus, a handful of lemon balm, a few rose hips, and a generous handful of chamomile. I am loosely assembling a recipe, here, as you can see. I combined the ingredients and stored them in a Mason jar for today’s use and for a few other brewing sessions in the near future. 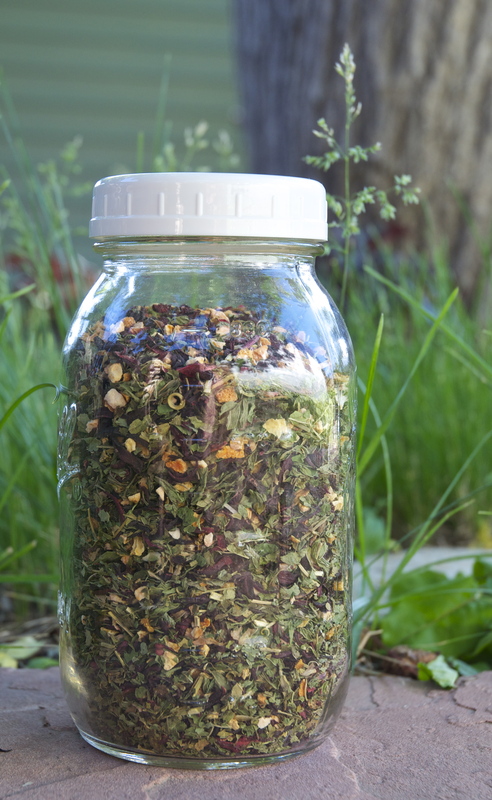 I scooped a cupful of the dried herb blend and placed it into a large jar. 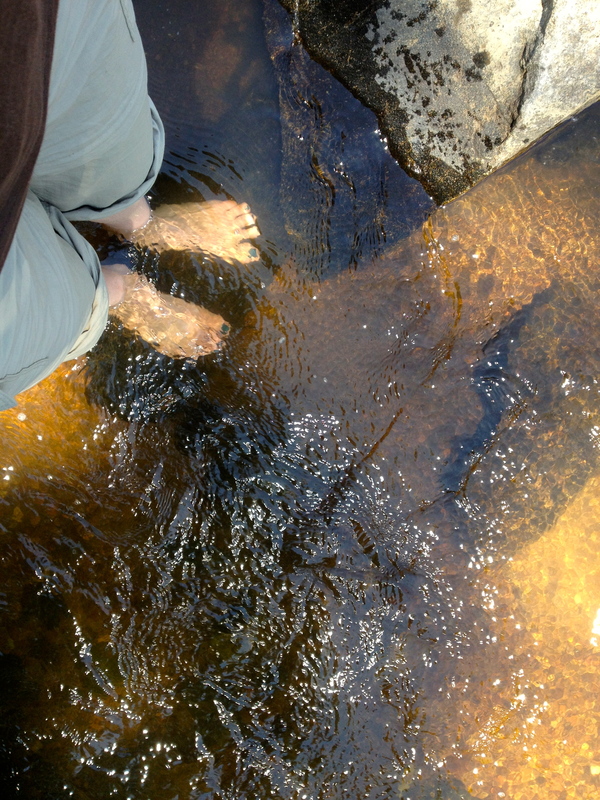 I added about two quarts of boiling water and let it sit and steep for about ten minutes in the sunshine. I let the mixture cool and added some honey, as a sweetener, and a little lemon juice to brighten it up. I save bulk, glass jars that formerly stored green bar olives. These large jars are perfect for batching drinks and soups or simply storing dried herbs. I currently have two of these jars filled with dried peppers, waiting to be integrated into our spicy dried pepper blend. Another great touch to add to an iced tea of any sort is fruit-composed ice cubes. 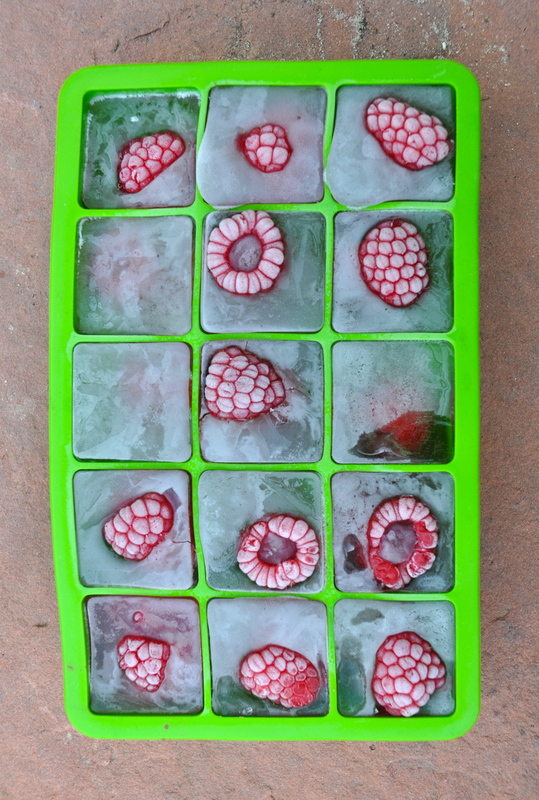 I chose to make some ice cubes, freezing a piece of fruit within each cube. I will have to try the lovely example I saw at Los Dos Aikos, where the blog’s author, Jaclyn, and her daughter puréed fruit and froze it in heart- and star-shaped molds. It turned out adorably! Read more about their how-to, here. On a whim, I spied these ice cube trays at Whole Foods. You can also find them at Bed Bath & Beyond. 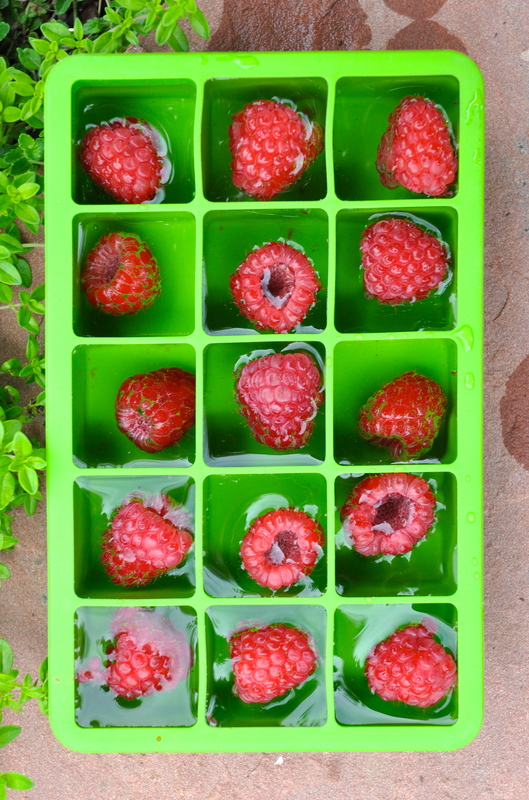 To make the cubes, simply add your choice of fruit to the trays, fill with water, and freeze. I add them to iced teas, iced water, and even cocktails to brighten up the drink with fruity notes, as the ice melts. The berries make a colorful statement to the beverage; it is such an easy way to take your drinks to another level of style and taste! 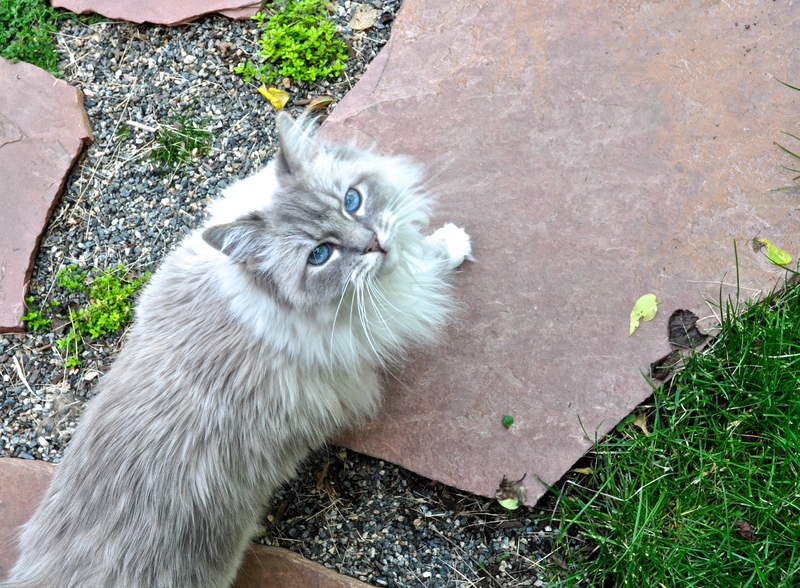 While I was waiting for my fruit cubes to freeze, I entertained Stacey’s rag doll kitty, Willow. 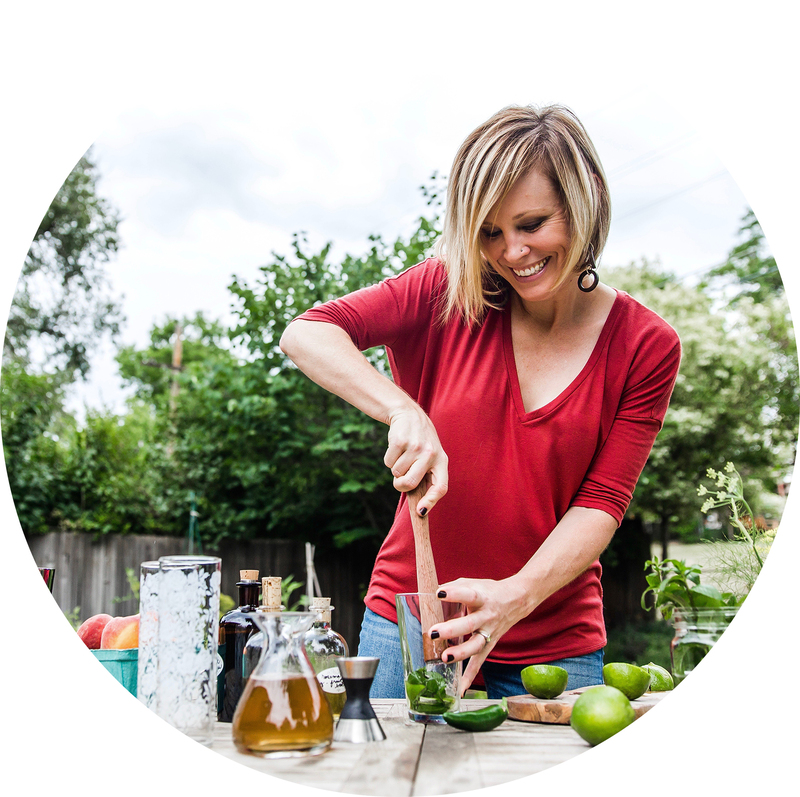 She is notorious for photo bombs and “taste-testing” recipes! I added the frozen fruit cubes to my herbal tea, and I was immediately summoned to my favorite chair on my back porch. 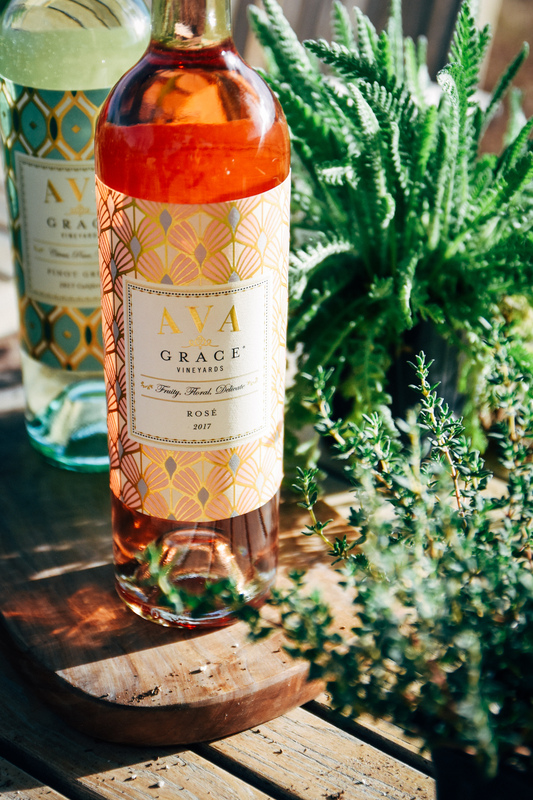 Summertime sipping simply encourages reflection. I am grateful for my friends, like Stacey, who actively embrace a love of the current moment. And I am happy for learning how to enjoy life in the midst of perceived chaos and uncertainty. On a very happy note, I learned that Stacey received a job here in town, just before she began packing, and will not be moving back to Michigan. Willow will still be able to visit me and the garden, we will purposefully take many more hikes in the future, and I will capitalize on the richness of my friendships and not take them for granted. You never know when things may change. 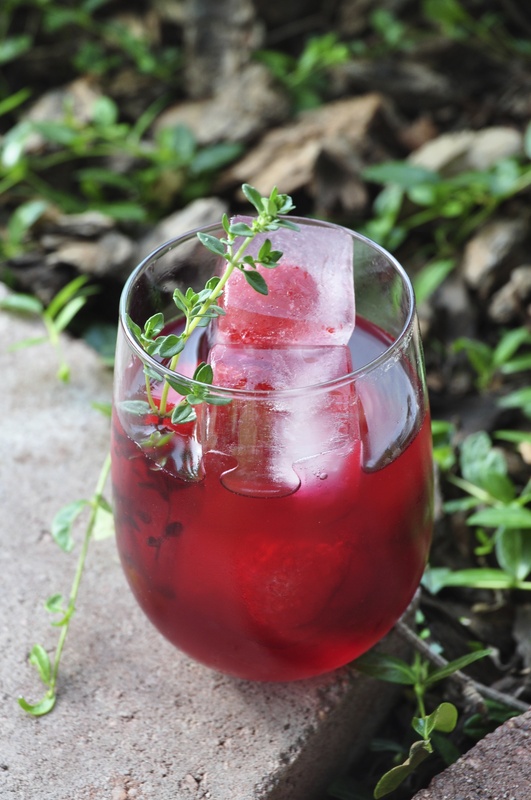 Herbal tea and raspberry ice cubes, garnished with a sprig of freshly cut thyme. 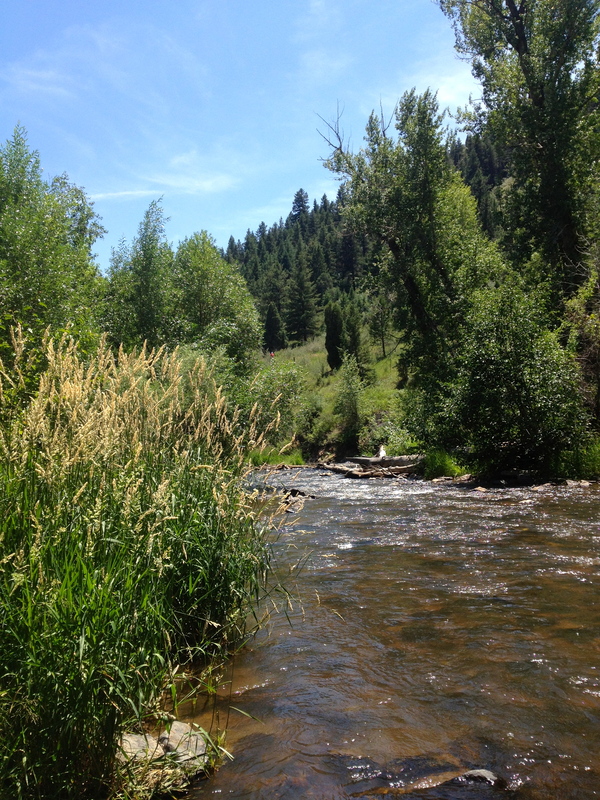 Our first hike of the day, Deer Creek Canyon. 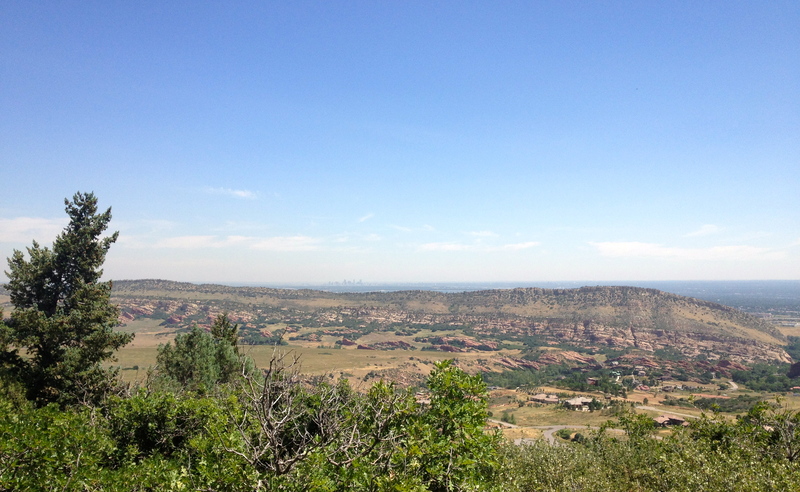 I love this trail that overlooks the “hog back,” or the Front Range of Colorado. You can see downtown Denver off in the distance. 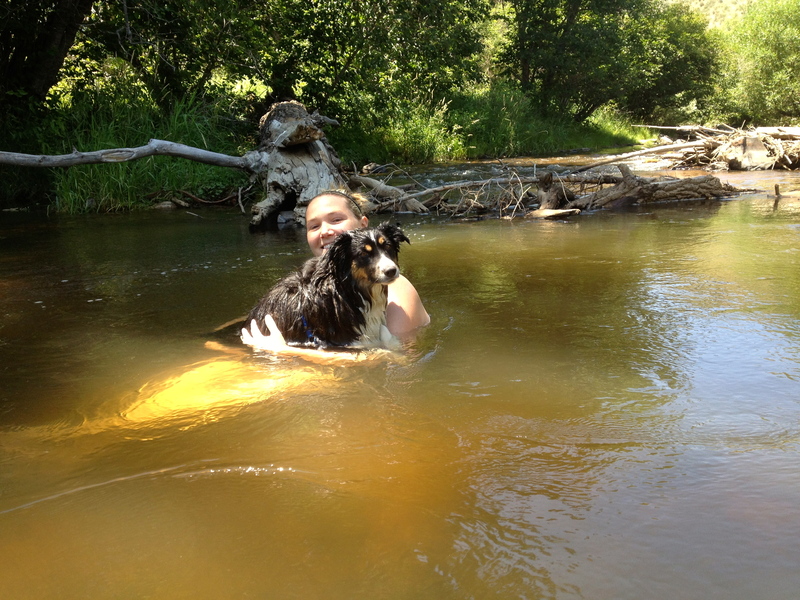 Stacey and her dog, Lucy, at Lair-o-the-Bear Park. 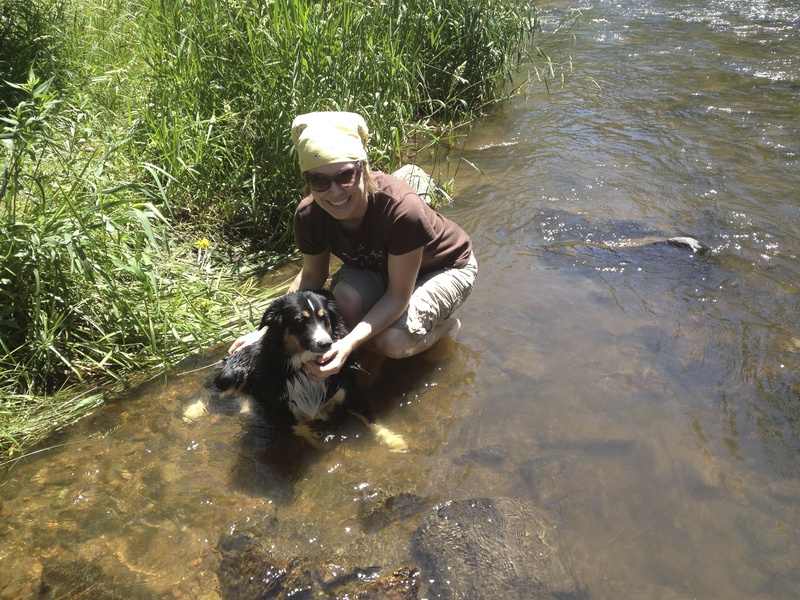 Jayme on the left, Stacey on the right, just after our soaking session in the stream. 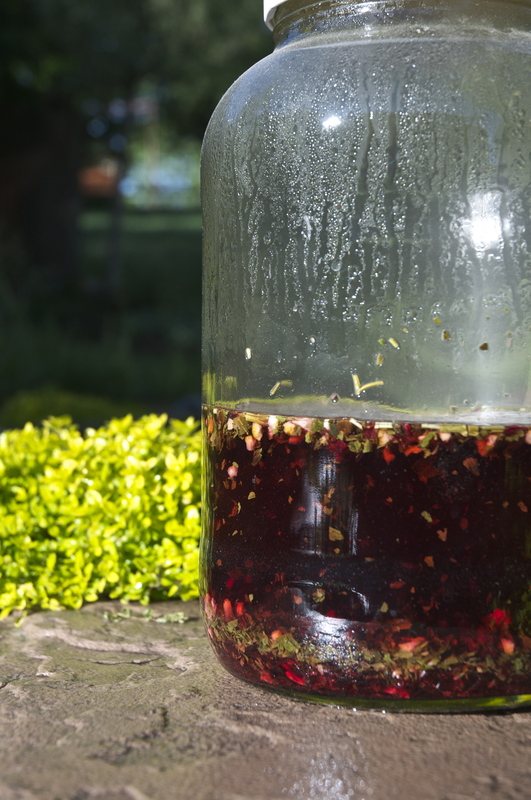 It was delicious and so simple…the hibiscus really gave the tea a punch of color. The tea also made a great cocktail, along with some Belvedere Lemon Tea vodka – finished with soda water, it was refreshing! 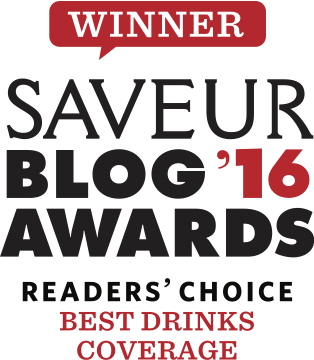 Love your blog, too – thanks for stopping by! 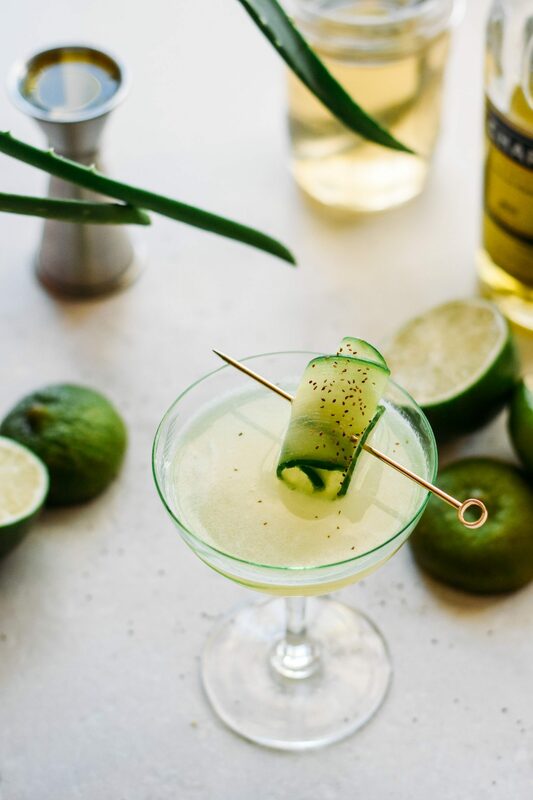 I will have to try your Limoncello cocktail – love that stuff – want to try making some of my own, too! enjoyed reading your post, I also like to drink iced herbal tea, living in a hot country means I have to drink lots of water which I am not that fond of, so I choose herbal teas. I have not tried making my own yet ,but will give it a try and the ice cubes as well. Thanks for stopping by, Janice! 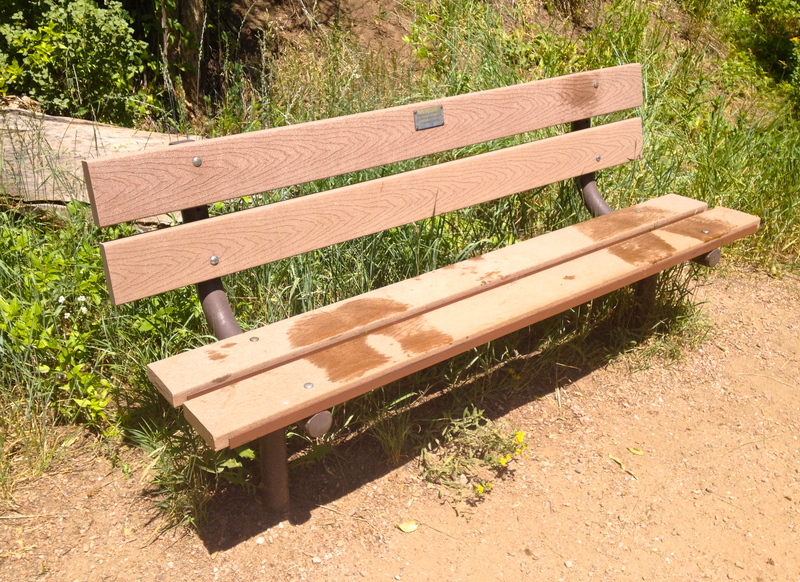 Colorado’s dry climate also requires the constant drinking of water – any ideas to change things up are welcome. 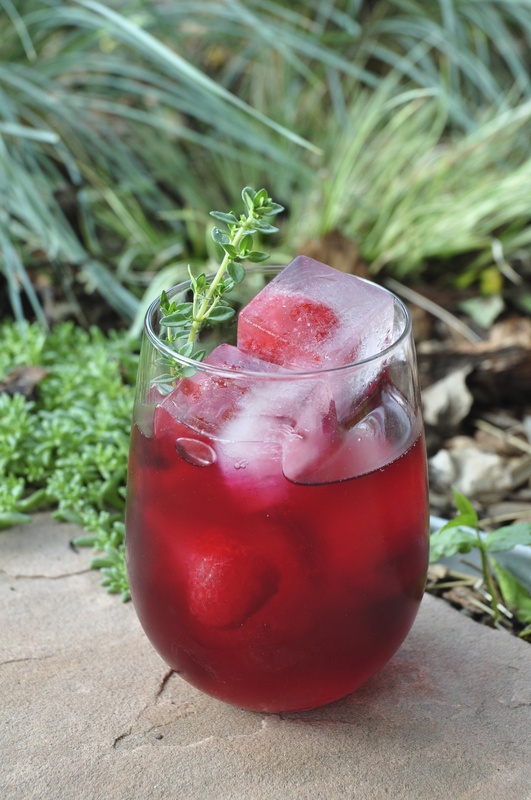 The ice cubes add some color and flavor, as does adding fresh fruit and herbs directly into the water. Your recent post on Echinacea prompted me to think about using it in my herbal teas – the plants grow so well out here. I love the ice cubes!!! I will now look at ice cubes in a different light; how creative! What a lovely post Jayme! You write so beautifully, it made me want to fill up my cup and relax. I agree, it is those in-between and unplanned moments that give “life” to our lives. 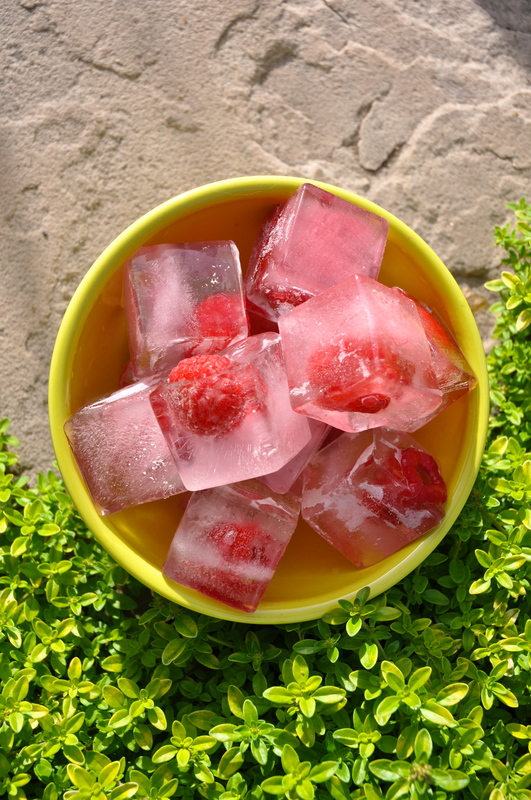 Love your raspberry ice cubes too!